Welcome to the Greater Washington D.C. Chapter Website! 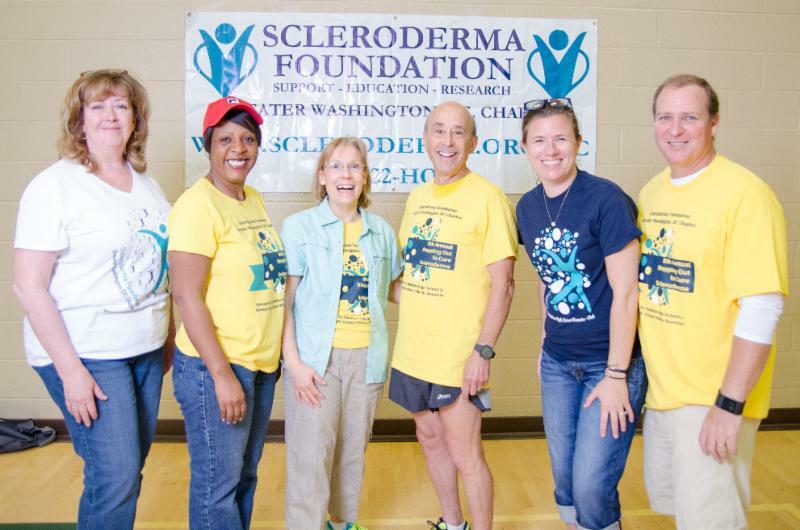 The Scleroderma Foundation Greater Washington, DC Chapter (SFGWDC) thanks everyone who participated in our 8th Annual Stepping Out to Cure Scleroderma Greater Baltimore 5K Walk/Run on May 19th at Atholton High School! It was great to see so many familiar faces and to meet individuals joining us for the first time! Together, we raised $17,000! It is our committed and dedicated walkers, runners, donors, sponsors, and volunteers who make this possible. It was a great day with great people! Special thanks to Mike and Alycia Senisi and their family for their ongoing commitment to this event. For the past 8 years, Mike, Alycia, their children and Rosemary Markoff have been instrumental in the success of this event since Mike started it in 2010. Thank you to our event volunteers, including students from Atholton High School, and SFGWDC volunteers Neal Fine, Deborah Aloof, Doretha Ficklin, Quiana Keeve, Sheila Fleet, and Matt Tourbin. Also, many thanks to SFGWDC Board members: Sharon Fine, President; TJ Keily; Mary Beth Tourbin; Jennifer Loud; and Vanessa Morris; and our Executive Director Carole Bernard. SFGWDC extends its deepest appreciation for helping in our efforts to raise funds for research and to support the chapter's work! In case you missed our newsletter, you can download our past issues! Read updates on the chapter's activities, support group meetings, and profiles of our members!